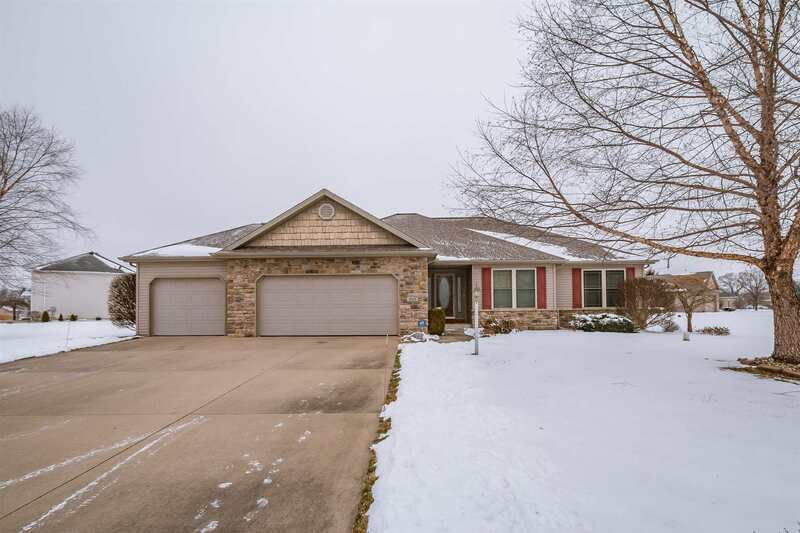 Absolutely immaculate ranch in Granger! Built in 2004 by JRK Construction, this spacious split-bedroom floor plan home with vaulted ceiling has lots of natural light. Beautiful hardwood flooring throughout much of the main level. A big update in 2010 was the professionally finished basement, which offers a large gathering space, a good-sized bedroom with egress window, and full bathroom. Some other recent updates include a new furnace, vinyl fencing, and composite deck. The home is neutral throughout, ready for its new owner to make it their own. For the amount of finished square feet, 3 bathrooms and a 3-car garage for under $300, 000, don&apos;t wait too long to take advantage of this opportunity!